Research indicates that up to 50% of the population doesn’t sleep well. Physicians give out millions of prescriptions for sleep disorders every year. Research reveals the wrong mattress can affect your health and can also lead’s to tossing and turning up to 80 times a night! Medical experts agree a better night’s sleep improves health and leads to a longer life span. People often put up with a mattress because they don’t know what to do to get a better sleep and don’t want to spend money on a new mattress. There is an answer! You can now instantly transform the whole feel of your existing mattress at a fraction of the price of buying a new mattress. We have the mattress topper (mattress pad, mattress overlay) you’ve been looking for. If you feel your mattress is affecting your sleep, we can help. Visit our showroom and feel the difference that one of our mattress overlays can make. Which mattress overlay is best for you? With a choice of 100% Natural Latex or Advanced 3rd generation Memory Foam you can now choose the exact feel you’re looking for. Natural Latex has a ‘push back’ feel, similar to resting your hand on a sponge. As you lie down the latex compresses and tends to ‘push back’ providing cushioning for achy muscles and painful joints. Latex is the way to go when looking for a natural product which softens a hard, uncomfortable mattress whilst also cushioning and supporting the bodies shape. Our 3rd generation memory foam toppers (which means this type of memory foam is non-heat responsive so it feels the same in both hot and cold conditions) provide more of a ‘sink in’ feel. 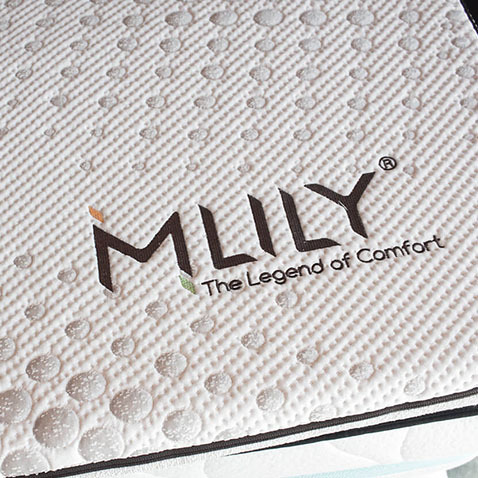 A great choice for softening a hard mattress. Think comfort with a lesser degree of support. Our entire range represents outstanding value. Our toppers are certified to international standards of purity, quality and durability. When looking for mattress toppers online or wonder ‘How do I soften a hard mattress?’ We have the answer. With 30 years’ experience, you can relax knowing you are getting the quality you are looking for from a brand you can trust. We deliver Australia wide including, Perth, Adelaide, Brisbane, Hobart, Melbourne & Sydney. Click to Shop All Mattress Toppers Now!